Two things we love in life are blogging and West Ham (yes I know that in the past I have been a bit critical but like your family, you cannot chose your football team – they chose you). Now you may struggle to believe this but there are other similar characters out in the big wide world. We heard last month from Jeremy Nicholas, the man behind the mic at Upton Park and recently caught up with another West Ham blogger – Iain Dale. Iain Dale is one of Britain’s leading political commentators, appearing regularly on TV and radio. Iain is best known for his political blog, Iain Dale’s Diary and football blog, West Ham Till I Die. He is a contributing editor and columnist for GQ Magazine, writes for the Daily Telegraph and a fortnightly diary for the Eastern Daily Press. He was the chief anchor of Britain’s first political internet TV channel, 18 Doughty Street.com and is a presenter on LBC Radio. He appears regularly as a political pundit on Sky News, the BBC News Channel, Newsnight, Radio 4 and Radio 5 Live. He is the publisher of the monthly magazine, Total Politics and the author or editor of more than twenty books. He is managing director of the new book publisher, Biteback Publishing. Basically he is here, he’s there he’s every bloomin’ where! So let’s try and understand how politics, blogging, football and Mike Tyson all fit together. If someone Google’s your name, you are listed on some sites simply as a “Blogger”. To us that is the best job in the world, but how did you work in the days before Social Networks and the internet? I have worked all my life in politics and the media. Quite how I ever existed without email I shall never know! I’ve been a financial journalist, political lobbyist, bookshop owner, publisher, Chief of Staff to David Davis, TV presenter and now a radio presenter on LBC. Despite being a die-hard West Ham fan, you are probably best known for your political opinion and comment. How much political banter is motivated by football club allegiances? Quite a lot. Most people in politics are really into football. There are a lot of MPs and political journalists who are diehard Hammers fans. Who are the biggest Political football fans? Any chance you will convince David Cameron to come down to Upton Park any time soon? Tony McNulty, the former Labour Minister, is a season ticket holder. Under Eggie (Eggert Magnusson – now interested in Sheffield Wednesday), he used to get invited into the Directors’ box. I sit about 30 feet underneath it in the West Stand. Before kick off he’s wave down at me and I’d give him the finger! New Tory MP Alec Shelbrooke is a Hammer. Cameron also supports the Claret & Blues – albeit of the Villa kind. How much of a political hot potato is the 2018 World Cup bid? Do you think we will actually get the tournament based on our Annus Horribilis? I think it is looking increasingly unlikely, if I am honest. We haven’t got a proper figurehead. We need a Bobby Charlton figure at the top. Whilst there haven’t been many occasions in recent years, what is your most memorable game at Upton Park? I’d have the say the 5-4 victory against Bradford and the 4-3 defeat to Wimbledon were two of the most memorable. I shall never forget the sight of Di Canio sitting on the pitch in the Bradford game and demanding to be subbed. Harry told him what he could do with his demand. We’ve been through some pretty interesting times at Upton Park in the past decade. So did you prefer watching the negative defence minded football of Alan Curbishley or the naive football of Alan Pardew? I wouldn’t characterise Pardew’s football as naive. I enjoyed watching his teams. He lived every kick of the game. I hated watching Curbishley’s teams. No spirit and no sense of purpose. His demeanour on the touchline transmitted itself to the team. Stoke City, Fulham and Birmingham City seemed to have progressed since coming back into the top flight, but we have struggled in the past five season since winning the Play Off final in Cardiff. Why do you think we have struggled to make an impression? Because we have had no continuity. If Pardew hadn’t blotted (ahem) his copybook and been sacked, I think things might have been very different. Curbishley was the wrong man at the wrong time. Zola did his best but he never had his own team. It seems that the main topic of conversation in the board room at Upton Park is a move to the Olympic Stadium. Would you rather see us part filling a 60,000 seater stadium or see us finally redevelop the East Stand and have a 40,000 seater stadium almost on top of the action? I do think we probably have to go to the Olympic Stadium if we want to progress. I love Upton Park but it is not possible to develop it into the kind of stadium we need. So yes, we need to move there, but I hope we can get over the running track issue. Di Canio v McAvennie, Devonshire v Stuart Slater, Alvin Martin or Billy Bonds? A tough one for all West Ham fans – what would be your best XI? What did you make of the England performance in South Africa? Least said, soonest mended. Capello’s treatment of some players was unforgiveable. It’s strange how he seemed so good in the qualifiers. A real leader of men. Apparently the club have been preparing Robert Green for the fact he is likely to receive abuse from away fans this season due to his one mistake against USA. We know how valuable he has been to West Ham in the past few years, so how much responsibility does the media have to take for fuelling the fire? A lot. But it was the same with Beckham in 1998 and Rooney four years later. Green will be fine. The cost of watching Premier League football in England has got to ridiculous levels. West Ham are charging up to £37 for a child’s seat for the game versus Chelsea, Manchester United have put season tickets on general sale for the first time in decades, and a non members ticket to watch Spurs this season costs up to £90. Compared to games on the continent, do our clubs live in the real world? Are they simply pricing out tomorrow’s fans today? Yes, but that will change in a new stadium. It’s called market forces. Supply and demand. If there was a Room 101 for football, what three things would you put in there? Pre-season was impressive – 5 wins out of 7. Apparently the last time we were this impressive was our relegation season in 1977. What are you expecting from the season? On that basis we are certain to get relegated. I think this will be a consolidation season. I don’t think we will be fighting relegation despite the awful start, but I doubt whether we can get much higher than 14th. Midtable mediocrity will have to be settled for. Tony Carr deserves a knighthood for his services to West Ham and football in general for developing so much young talent. But do you think players like Jack Collison, Zavon Hines, James Tompkins and Junior Stanislas get a fair crack of the whip, or is football now about immediate results and so clubs will not risk playing the youngsters, rather plumping for Rennie van der Crap an expensive mercurial import? West Ham have always given youth a chance, but with so many foreign signings being recruited at the moment there is a fear that youngsters may not get their chance. I see Tompkins and Collison as major players for us. Stanislas has a huge amount of poitential, as does Hines. 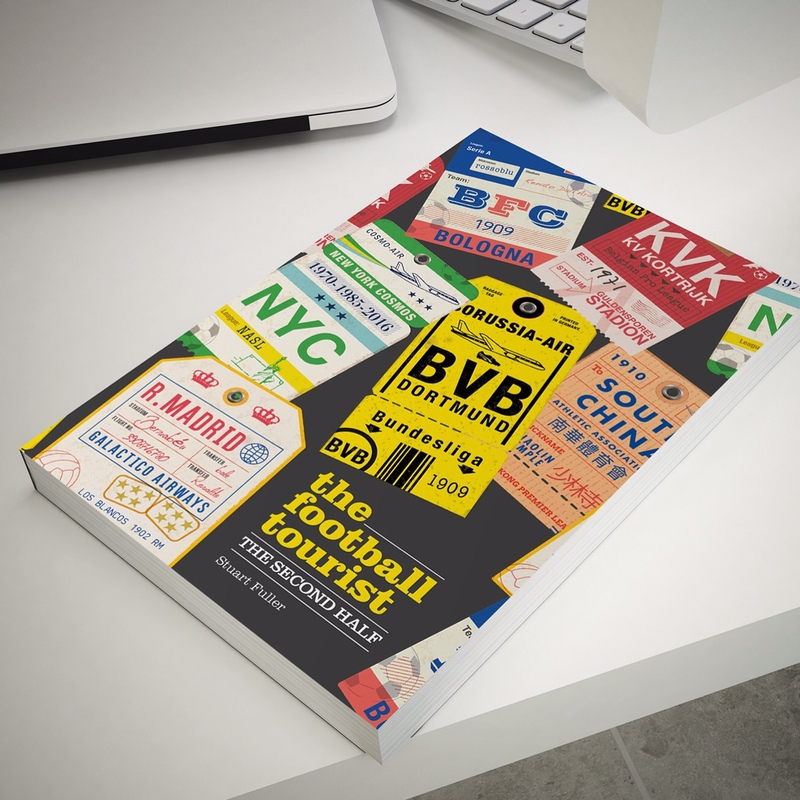 We tend to cover around 80 games a season around Europe and at all levels of the pyramid. How many games to do go to a season? Have you been tempted into the non-leagues? 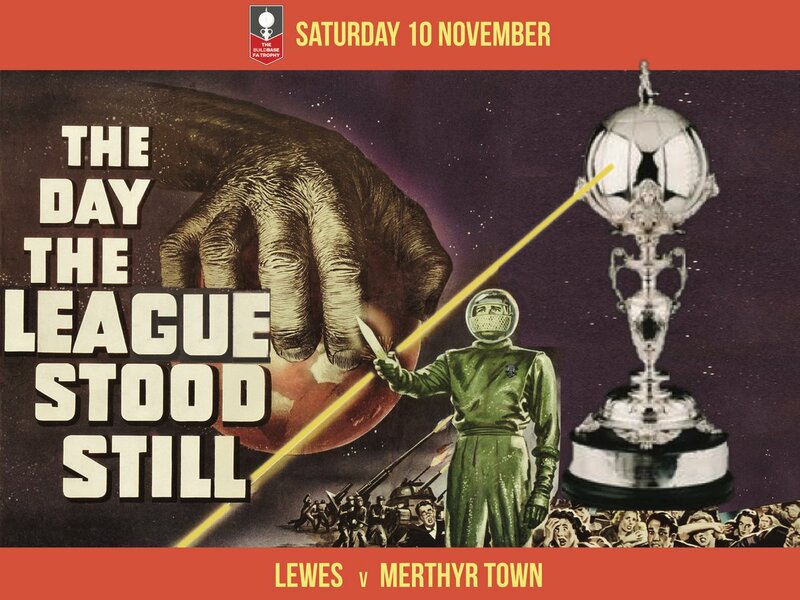 We can thoroughly recommend a Saturday afternoon at the Dripping Pan in Lewes! I used to go to Gillingham a bit but I haven’t got the time nowadays to go to any games other than West Ham ones. I rarely go to away games. On my first visit to Upton Park in 1974 I took along my boots “just in case”. Can you remember your first game? Yes, West Ham v Chelsea in 1977. I think Alan Curbishley was making his debut. I remember getting the tube from Epping with my Dad and uncle and we walked along Green Street which resembled a riot zone. We stood in the corner of the West Stand and North stand. I was smitten even though we lost 1-0. As occasional visitors to press boxes around Europe, we can thoroughly recommend the half time soup at Borussia Monchengladbach, but weren’t impressed with the biscuits at Wembley. What are the best press facilities you have experienced? I’ve never been to a game as a journalist. I was invited into a box at Upton Park once, but hated it. I like being in the crowd. No prawn sandwiches for me, I’m afraid. Queuing up to get in a lift at the Bernabau with Tom Cruise still rates as our most surreal experiences, although Mike Tyson wandering on the pitch at Peterborough United a few weeks ago takes some beating. So who is the most unlikliest person you have seen at a football game? Finally, as one of the best known Twitterers, sum up Iain Dale in a 140 character tweet..
Marmite personality, loves gossip, thinks he’s funnier than he is, obsessed by politics, best friend is his Jack Russell Gio, loves his Mum. Once again a big thanks to Iain for taking time out of his busy schedule to talk to us and give us his views on life at Upton Park. We recommend following him on Twitter for his sharp intellect, satirical comment and sheer desperation at our performances. This entry was posted in Alan devonshire, Upton Park, West Ham United and tagged Iain Dale, Upton Park, West Ham. Bookmark the permalink.